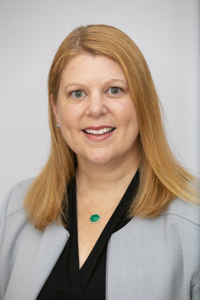 Cara Jenkins serves as the marketing communications director for IMS Global, leveraging more than 15 years of experience in higher education technology marketing. In her role, Cara works closely with IMS staff and members to effectively communicate IMS activities and progress to increase member engagement, recognize member contributions and leadership, and increase awareness of the IMS value proposition to increase market adoption of IMS interoperability standards. Prior to joining IMS, Cara led various marketing programs and initiatives at Ellucian (formerly SunGard Higher Education) with a focus on defining and tracking program success metrics. As go-to-market director, she had responsibility for solution messaging, new product launches, awareness, and lead generation campaigns for 15 solutions that spanned three product lines and included several SaaS model and cloud applications. Prior to her role as go-to-market director, she was the director of events and association programs, tasked with driving the strategic direction of an event portfolio, which at its peak contained over 30 national conferences and had the potential to reach over 25,000 customers and prospects. In addition, she directed all aspects of content development, programming, speaker engagement, and audience acquisition for an 8,000 person global customer conference. Cara is actively involved as a member of the planning committee for The Women in Tech Summit (Philadelphia), whose mission is to support the community of women currently working in technology and to help pave the way for women and young women who want to enter the industry. Cara holds a Bachelor of Arts degree in history from The Catholic University of America.